I was not too confident about the Yankees’ chances against Houston Astros ace Justin Verlander yesterday and unfortunately I was right as the Bombers fell to the Astros, 5-1. 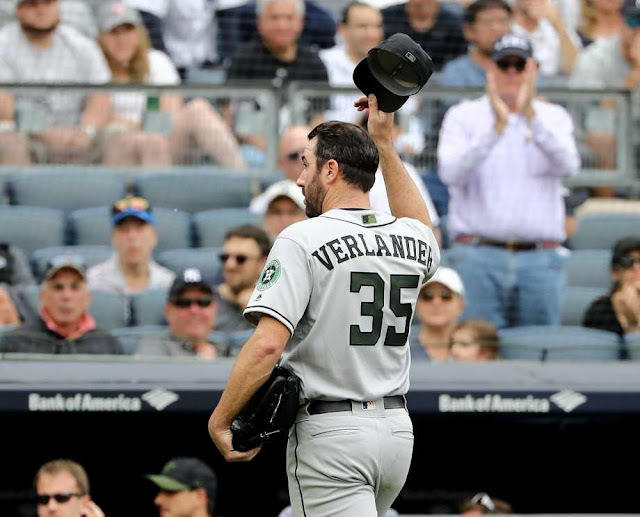 As if the cold bats against Verlander weren’t bad enough, the sight of him walking off the field while tipping his cap to the jeers from the Yankee Stadium crowd was sickening. When I think of Verlander, I can still see his ugly mug in the midst of the brawl in Detroit last summer. I don’t like Justin Verlander. I’ll just get that out there. I do not wish the Yankees had been the team to acquire him last summer regardless of what he has done wearing an Astros uniform. I don’t want him on my team. I want my team to beat him, to crush him like an ant. If the Yankees can beat Verlander in the post-season, a regular season loss to him will mean absolutely nothing. So, for now, I’ll take solace in the fact the Yankees are watching and learning. The day will come when they tee off on Verlander and he’ll look like the aging pitcher he was in the final days of wearing Detroit Tigers gear. I look forward to our next meeting with Verlander which could very well happen in October. The next two games against the Astros will be tough. Whatever it is about pitching in Houston, Charlie Morton is drinking the water. An average starter at best in Pittsburgh, he’s become a different man in Houston and has pitched very well against the Yankees. Morton is undefeated this season (7-0), carrying a low ERA of 2.04 (which of course is high compared to Verlander’s 1.11). I wish I felt more confident with CC Sabathia on the mound. Frankly, I don’t know what we are going to get today with CC (2-1, 3.55 ERA). I guess my philosophy is the same as yesterday. Try to keep it close and get the game into the hands of the bullpen. Bullpen to bullpen, I like the Yankees’ chances. Tomorrow, for the series finale, the Astros will have proven Yankee-killer Dallas Keuchel on the mound. If there is a silver lining, this has been a down year for Keuchel (3-6, 3.39 ERA) which also happens to be his walk year. We’ll throw the best we’ve got (Luis Severino, 7-1, 2.28 ERA) at Houston but down year or not, I expect Keuchel to be on his game. It should be a classic pitching duel. 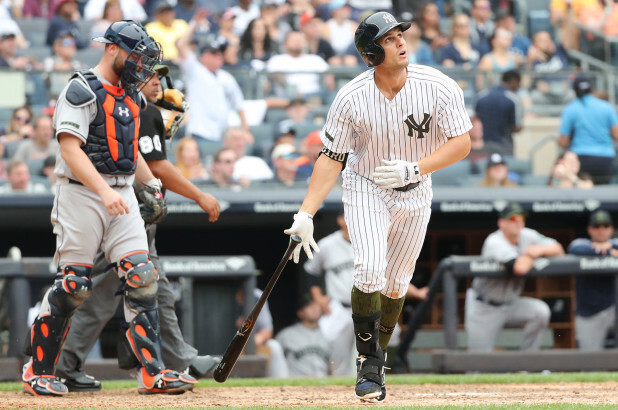 One positive from yesterday’s game (at least for me)…Greg Bird’s swing is a thing of beauty. I know there were positives in Domingo German’s performance yesterday with the number of whiffs (he did record seven strikeouts in 5 2/3 innings) but a loss is a loss. I know, he’s learning and it is part of the process. The Astros fans were probably very confident yesterday knowing who was pitching for them. I want that kind of guy. Again, not Verlander (for me), but a pitcher who instills confidence the way he does for his team. It’s not Sabathia, it’s not Masahiro Tanaka nor German, and it sure the hell isn’t Sonny Gray. I am getting a little tired of the usual suspects with rumored potential trade candidates. Michael Fulmer is 2-3 with 4.08 ERA and 1.273 WHIP. He may be young and controllable but his numbers are trending in the wrong direction. Same with Chris Archer. He is 3-3 with 4.29 ERA and 1.304 WHIP. To Archer’s defense, outside of a poor start against the Baltimore Orioles on May 12th when he gave up six runs in a loss, he has pitched much better in May than he did in April. At the end of April, Archer had a 6.61 ERA so even with the dog start against the O’s, he has lowered his ERA by more than two runs in a month. Fulmer is probably the better option since he’s younger and maybe his numbers help make his price tag more affordable. I don’t know. I can’t see either pitcher being “the guy” in October. Hopefully, GM Brian Cashman uncovers a gem (or two) prior to this year’s trading deadline. Go ahead, surprise us with a true ace. An improved pitching staff to go with the team’s offense would be the catalyst for the Yankees to overcome the Boston Red Sox and charge into October with significant momentum. I want another shot at Justin Verlander. Only next time, I expect to win. So, the Cleveland Indians have promoted Justin Bieber to start this week. Oh sorry, make that Shane Bieber. Bieber was taken in the MLB Draft two years after the Indians selected Justus Sheffield and three rounds later. Bieber is a year older than Top Sheff and has blazed through the Indians system. I think we’ll see Sheff in a couple of months. Not really trying to draw a comparison between the two given Bieber was a college pitcher and much closer to the Majors than Sheffield was when he was taken in the first round of the 2014 Draft. But the emergence of rookie starters for contenders is heightening the excitement of Sheff’s impending arrival even if we have to wait awhile longer. Josh Rogers (4-3, 2.80 ERA) is scheduled to pitch today for the Scranton/Wilkes-Barre RailRiders. 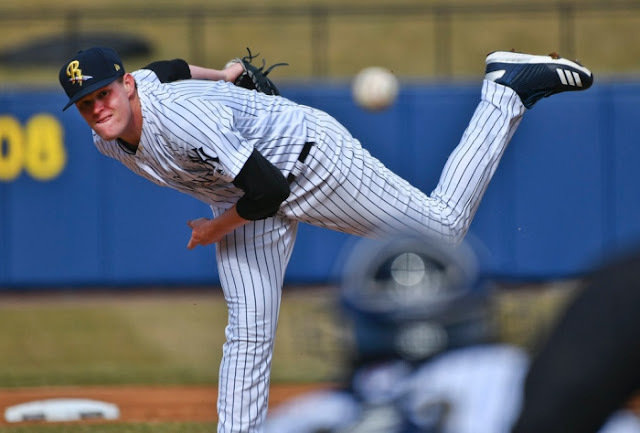 He is quietly inserting his name above Chance Adams as another arm that could make his Major League debut for the Yankees in the not-so-distant future. Despite the home run he allowed to Jose Altuve yesterday, I’d probably give German’s next start to A.J. Cole. I remained intrigued with the pitcher. I know, he’s not the answer and he was never more than a borderline Number 5 starter for the Washington Nationals. But I’d still like to see what he could do with a spot start. At one time, Nats fans thought Cole could be dominant but it never materialized. After originally being drafted by the Nationals in 2010, he did spend a year in the Oakland A’s farm system, but was reacquired by the Nats in 2013. The optimist in me tries to see Cole as a late bloomer (tapping on the potential that Washington scouts once saw) but the realist in me knows that he is a future DFA candidate. I’d just like to see what we have before he goes. Today is a new day. As the Mariano Duncan quote goes, “We play today. We win today.” Let’s do it. Go Yankees! We beat the Astros the last time Verlander pitched at the beginning of May.